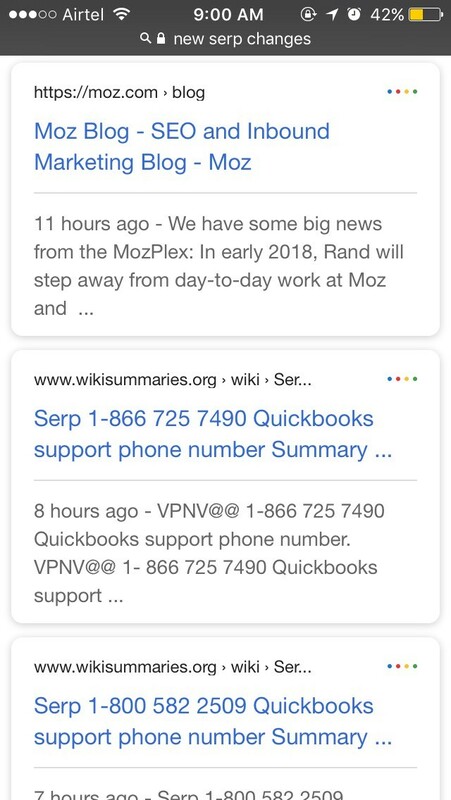 Google Testing New Mobile Search Layout? Google constantly modifies its search layout to provide more relevant results to the users. Today morning when I tried some random Google searches on iPhone, noticed few changes in SERPs (Search Engine Result Pages). Thought of sharing the same. 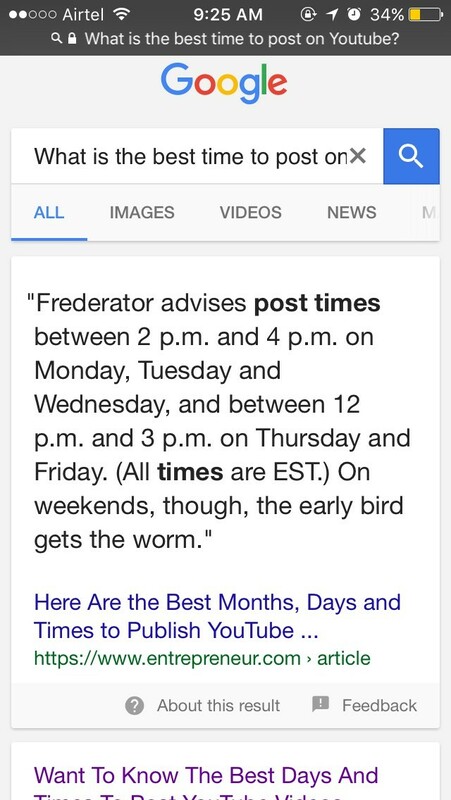 Searched for "Good Time to Publish YouTube Video". 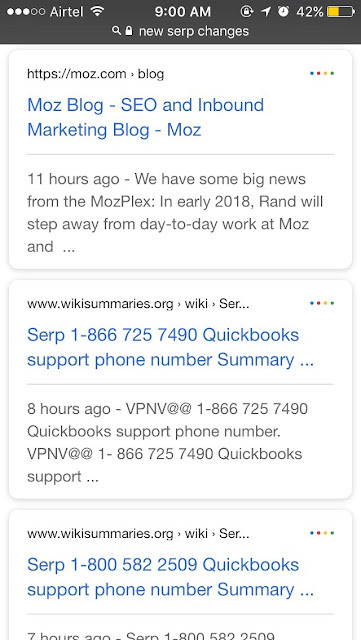 Screenshot below is what google showed as results. It featured answer box of entrepreneur.com. However did anyone noticed that it added some elements such as the question “What is the best time to post on YouTube" & "More Results" in the answer box? 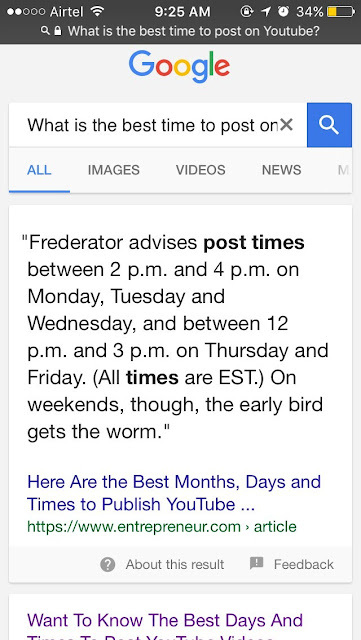 Once you click on "More Results" it redirects to new search which is "What is the best time to post on YouTube". 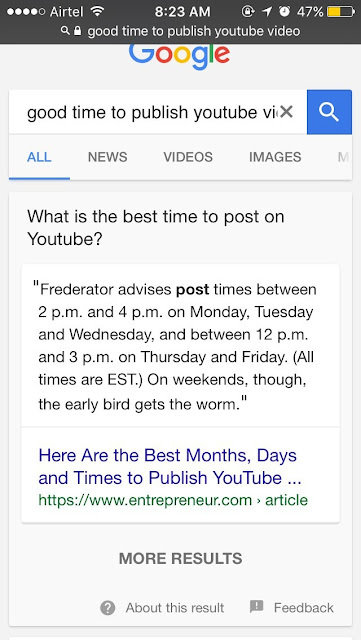 This is the same question featured for the search “Good Time to Publish YouTube Video" & the same answer is seen in the answer box. (Screenshot given below for reference). Another search that I made "New SERP changes" and narrowed down the results to past 24 hours. Below is what the search engine result showed. Looks similar to PAA (People Also Ask) pattern. Only difference is that PAA results showed up questions from different sites whereas according to above screenshot it showed results from the same site which is webmasterworld.com. After searching the same query "new SERP changes" found a different SERP layout. Check the screenshot below. 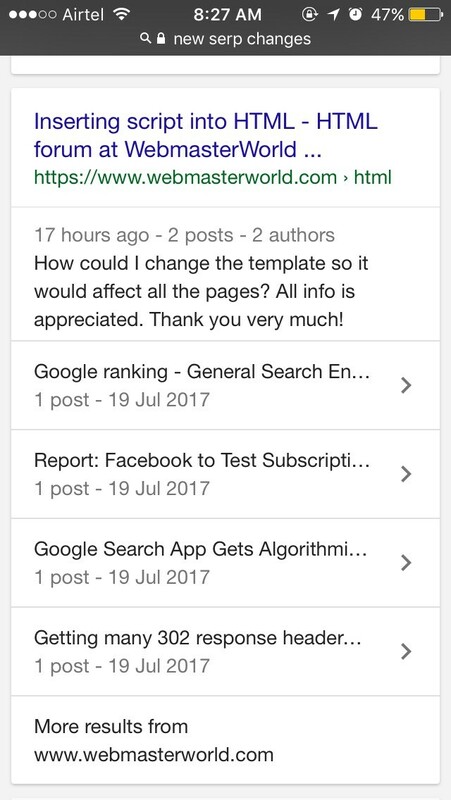 It shows URL at the beginning, followed by Title and then Description. Found these changes in SERP layout quite interesting. Let’s wait & watch how beneficial these changes will be to users in case Google tries to make the changes permanent. This post is specially written by Bhumika Kateliya for SEO in Short. Bhumika has 4 years of experience in SEO and is very passionate about Digital Marketing. Besides this she loves sketching and cooking. This is very insightful..would interesting to see how it benefits different market sections..